Organised by UKi Media & Events, the awards celebrate the very best in powertrain engineering, design and innovation by presenting 12 trophies, covering eight capacity classes as well as Green Engine of the Year, New Engine of the Year and Performance Engine of the Year. The winners of the eight capacity classes and the Green Engine award are then shortlisted, with one powertrain eventually becoming the International Engine of the Year. The Tire Technology International Awards for Innovation and Excellence reward the smart thinking and hard work of the tire design and manufacturing industry. The results are determined by an independent panel of international tire industry experts and the trophies are presented annually at a Gala Dinner during Tire Technology Expo, the world’s most important tire manufacturing technology exhibition and conference. 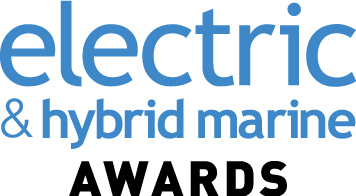 The Electric & Hybrid Marine Awards recognise and honour the world’s finest manufacturers, suppliers, engineers, innovations and products in the electric and hybrid marine propulsion arena with a judging panel that is made up of some of the world’s leading maritime journalists, industry experts and academics. Highly prized by their winners and well respected by the motorsport community, the Professional MotorSport World Expo Awards recognise and reward the innovative thinking and hard work of the motorsport industry. They are presented at a spectacular Gala Dinner during the Professional MotorSport World Expo in Cologne, central Europe’s largest motorsport trade show. Presented since 2008, the Vehicle Dynamics International Awards recognise the best ideas, technology, innovations and engineering achievements in vehicle dynamics development. The jury consists of 29 leading automotive journalists from 19 different countries around the world. The Postal Technology International Awards are designed to recognise and honour the most outstanding achievements in the postal industry. Categories cover automation, digital mail, retail, last mile delivery, the environment, suppliers and service providers. The winners of each award are announced during a ceremony held at POST-EXPO.